The First Point Of Sale system to directly integrate into Amazon and eBay. You can expand your offline business to online easily. You don't need other 3rd party listings and order processing software to centralize inventory management. Our POS actually feels like real-time, retail POS, giving a faster check- out on a single screen by using web browser. You don't have to search through images and inventory, closing several different screens before check-out. Collect cash, check, and credit cards as forms of payment. In a matter of a few clicks, you and your customers will complete transactions. Expandable to additional sales channels. Expand Your Business To Amazon and eBay with SellerSoftware POS. The First Point Of Sale system to directly integrate into Amazon and eBay. This subscription packages can be used to expand your offline business to online easily. Imagine a multi-channel platform that cuts your labor in half and lowers fees by up to 95%. Imagine a management platform that frees you from spending your day putting out fires and instead empowers you to concentrate on your businesses’ growth. SellerSoftware.org automates ecommerce operations including Amazon and retail POS. Features include inventory management, multi-channel listing, order management, fulfillment and more. Use this web-based solution to manage your daily brick and mortar store and Amazon Sellercentral without repetitive work. Accounting Automation: No more busy work. Easily post all orders, expenses, fees, and shipping costs directly into QuickBooks (Online, Pro, Premier, and Enterprise) and Xero Save time and money. Know your accounting is timely, accurate, and tax compliant. Order Management: Simplify workflows and sell more. Manage orders across all sales channels from one inbox-edit, filter, search, import, export, post, and sync to accounting. Business Analytics: Know the metrics that matter. Increase revenue and optimize operations with analytics for finances, customers, and products. Bring context and insight to your profit margins, key performance indicators (KPIs), and returns on investments (ROI). Unify allows you to run your multi-channel e-commerce business from one solution. Unify automatically imports and syncs e-commerce sales, shipping, and inventory data directly into your accounting software to save you boatloads of time and money. Now you can enjoy accurate accounting and inventory management and easily add new product listings to our online stores and marketplaces. Use financial reports, forecasting, and big-picture analytics to strategize and grow your business. Create Your successful online store with MotoCMS in minutes. MotoCMS is one of the leaders in building website templates for niche businesses. MotoCMS is a complete ecommerse software solution for everyone, who want to start commercial business online. The website collection contains more than 100 made-up ecommerce themes for any kind of e-stores. With MotoCMS, you don't need to know coding for creating a website. All you need is customizing the collection of ready-made blocks to build a unique website layout for your needs. Your website will look perfect on any modern device. The template you get is 100% responsive, fitting all possible screen resolutions. Enjoy instant performance and speedy loading time of your website with no glitches. Lots of built-in payment system: PayPal, 2Checkout, Post Finance and more. Get everything necessary for optimizing your website for search engines and increasing its rankings. Use a rich collection of built-in widgets to edit products' color, size or any other custom feature. Download: After you purchase a template on amazon.com, you get a 100% promocode that you should further apply on motocms.com to download your template. Enterprise solution to integrate into Amazon and eBay. You can expand your offline business to online easily. You don't need other 3rd party listings and order processing software to centralize inventory management. If you sell on both Amazon and eBay, SellerSoftware can list your items to Amazon and/or eBay directly. It also downloads orders, payment information, and centralizes order processing. This solution is equipped with marketplace listing management. Once you create items, it will remember the sku and push information to marketplaces and web stores. No need to download. Simply link and build relationships. Expand Your Business To Amazon and eBay with multi-channel e-commerce management solution. This subscription packages can be used to expand your Amazon business to eBay easily. Imagine a multi-channel platform that cuts your labor in half and lowers fees by up to 95%. Imagine a management platform that frees you from spending your day putting out fires and instead empowers you to concentrate on your businesses’ growth. SellerSoftware.org automates ecommerce operations including Amazon and eBay. Features include inventory management, multi-channel listing, order management, fulfillment and more. Use this web-based solution to manage your daily work without repetitive work. Enterprise solution to integrate into Amazon. You can expand your offline business to online easily. You don't need other 3rd party listings and order processing software to centralize inventory management. SellerSoftware can list your items to Amazon directly. It also downloads orders, payment information, and centralizes order processing. Manage your Amazon store efficiently with multi-channel e-commerce solution. Imagine a multi-channel platform that cuts your labor in half and lowers fees by up to 95%. Imagine a management platform that frees you from spending your day putting out fires and instead empowers you to concentrate on your businesses’ growth. SellerSoftware.org automates ecommerce operations. Features include inventory management, multi-channel listing, order management, fulfillment, optional built-in web store and more. Use this web-based solution to manage your daily work without repetitive work. The First Point Of Sale system to directly integrate into Amazon Sellercentral. You can expand your offline business to online easily. You don't need other 3rd party listings and order processing software to centralize inventory management. Expand Your Business To Amazon with SellerSoftware POS. The First Point Of Sale system to directly integrate into Amazon Sellercentral. Amazon & POS subscription packages can be used to expand your offline business to online easily. Imagine a multi-channel platform that cuts your labor in half and lowers fees by up to 95%. Imagine a management platform that frees you from spending your day putting out fires and instead empowers you to concentrate on your businesses’ growth. SellerSoftware.org automates ecommerce operations including Amazon and retail POS. Features include inventory management, multi-channel listing, order management, fulfillment and more. 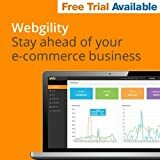 Use this web-based solution to manage your daily brick and mortar store and Amazon Sellercentral without repetitive work.